remember this multi-lingual project? well, it’s amazing how time flies sometimes! 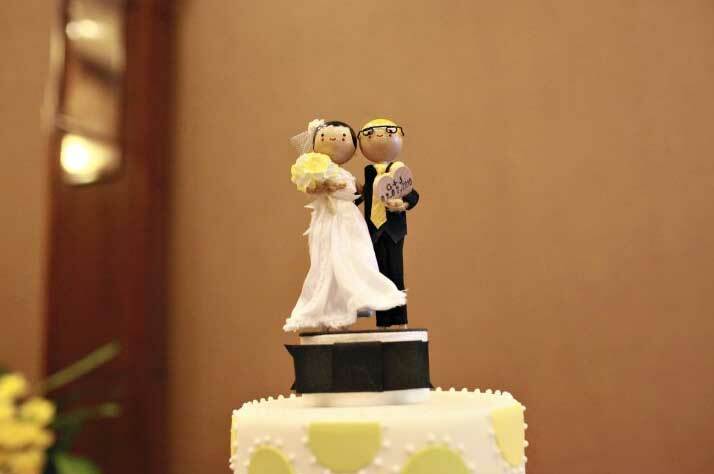 back in july, our wonderful, fun-loving couple from montreal finally tied the knot! janice completely made my day when she dropped me an email recently with links to her online wedding album. how awesome are these pictures (all courtesy of the very talented isabelle paille)?? i have to say that one of my greatest joys is being able to bask in all the incredible photography that my couples’ generously share from their big day.. especially since i’m rarely able to enjoy it on the day of. 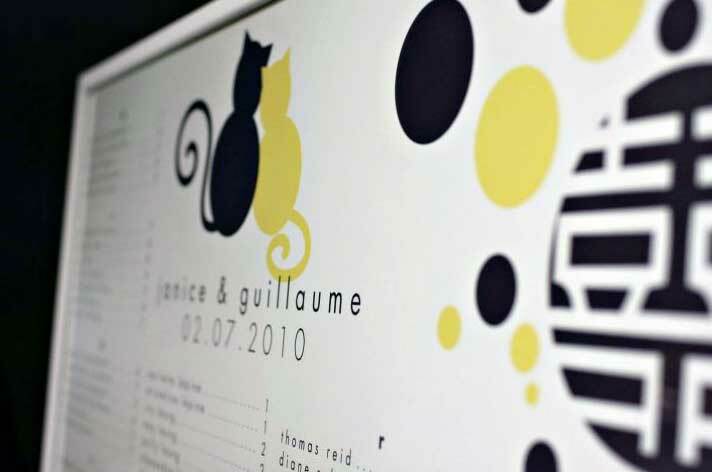 janice and i started working together much earlier in the year, after she and guillaume ran across our marvelously mod cats on etsy. just needed to make a couple minor tweaks, including moving the color scheme over to their elegantly rich chocolate brown and pale yellow… and laying out the text in both chinese and french. it’s not often that i’m asked to design something i can’t completely read or proof myself, but here we were, and it worked out perfectly. 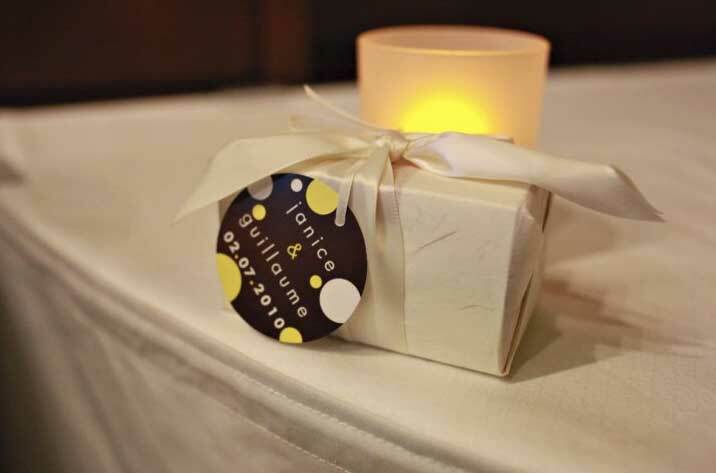 it was such an absolute pleasure working with janice from start to finish, putting together a completely matching set of items — from the invitations all the way through table numbers, seating chart, favor tags and thank you cards. that reminds me.. another super awesome “joy” moment: getting a thank you card i created, in the mail. as a thank you. oh. so. awesome.. especially when they then combine the two “joy” moments by including photos WITH the card. j&g, you guys rock!!!! but we’re getting off topic… the wedding itself was not only a wonderful combination of cultures and traditions, but also all the fabulously unique touches that truly made it janice and guillaume’s day.